Within the past five years, the number of self-employed workers have risen dramatically, from 650,000 to a current estimate of 4.5 million people. That means that in today’s society, a total of 15% of the active workforce is made up of those working for themselves. Although this growth can be attributed to a vast number of complex reasons, analysts are still heatedly debating the record-breaking high of self-employed numbers. Reasons that have been approached include the recession that started a few years ago that made options more limited, a longer life expectation that is leading to a postponement in retiring, as well as an increase in the wanting to be our own boss. However, the downside of all this is the fact that, because being self-employed is not well supported by public policy, they are unfortunately facing big problems in today’s economy. On average they earn 40% less than average employees, and only one in three can pay into a pension fund. They can also face the danger of being underemployed and not receive enough work. In fact, weekly wages for self-employed workers have dropped by 20% since 2008. It has been reported that a small number have experienced problems being able to obtain loans or mortgages, due to the mere fact that they were self-employed. 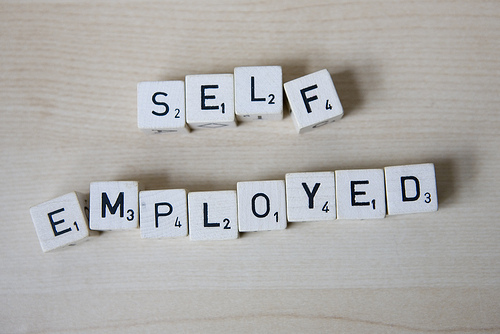 A survey done by Ipsos-Mori, commissioned by the Resolution Foundation, found that 27% of people asked said that they chose self-employment because they felt that had no other choice, and now they cannot seem to get out of it. The UK economy is without a doubt experiencing a definitive boom in the numbers of employed – however, the fact remains of how to be able to help the self-employed faction, and what policies can be implemented, as these businesses are here to stay. This entry was posted in General Posts and tagged entrepreneurs, financial times, ipsos-mori, job growth, pension, public policiy, resolution foundation, self-employed, self-employment, uk economy, uk news. Bookmark the permalink.